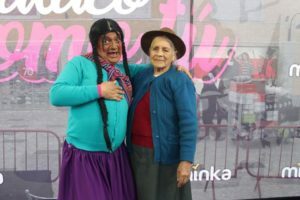 For almost 2 decades Peruvian comedian Jorge Benavides, dressed up in drag as a poor indigenous woman, has been making Peruvians laugh. 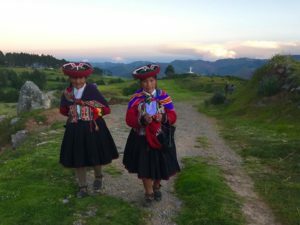 The recent release of a full-length movie about Jacinta has generated controversy and shows how culturally divided Peru still is. And going by the laugh track, many Peruvians find the character hilarious. So do the numerous people who watched the movie–the premiere last month brought 47,000 people to it. 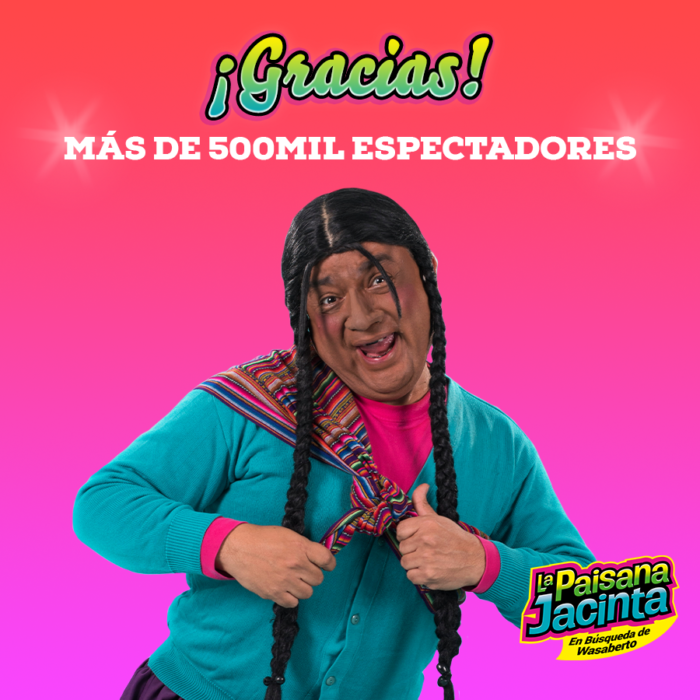 After 3 weeks ‘Peasant Jacinta’ has topped 600,000 visitors so far. But is the movie as offensive as many claim? In Peru, the movie has divided the country between those that find it funny and those who don’t. But is it just a humorous movie that should be afforded the protection of the right to freedom of expression? Or is the film racist and does it discriminate against the indigenous population, who are generally from the countryside and less privileged? Fact is that Peru has one the biggest indigenous populations in Latin America. Their heritage is deeply rooted in the country. Over time, many have tried to escape rural poverty by migrating to Lima. At the same time, most important functions in Peru are staffed by descendants of wealthy European families. The movie’s protagonists being ‘white’, many feel that the parallels are awkward. 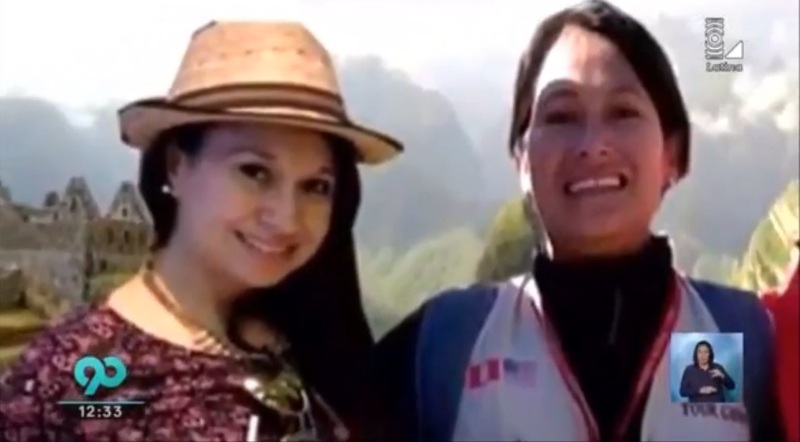 Tania Pariona is the coordinator of the Indigenous faction in Parliament. She is one of the main critics of the movie. She started an active campaign to convince producers, investors and movie theatres to restrain from engaging with the movie. “Jacinta is a form of discrimination towards the 55 native populations that live in our country”, she said. Whether the critics’ voice is heard by the supporters is questionable. What is meant to be entertainment for the whole family can never be wrong, right? 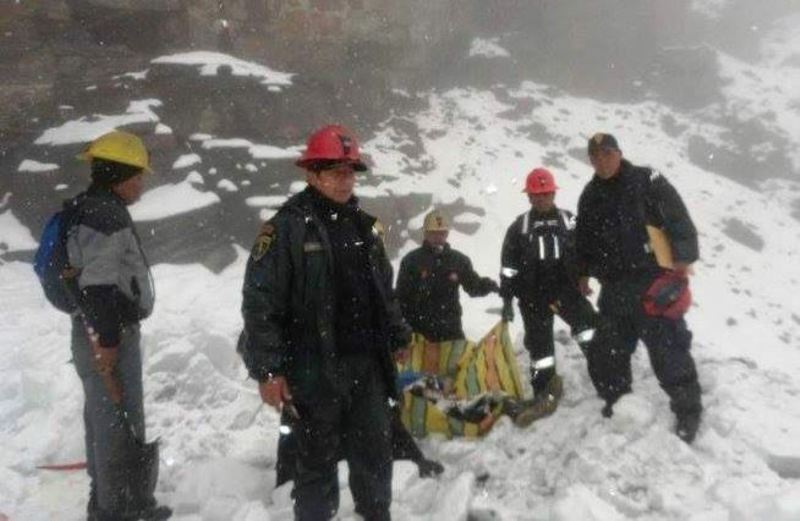 According to Gricelda Pumayali, a lawyer from Cusco who wrote her thesis about Moral Damage: “It’s understandable that every individual has his or her personal reasons for watching the movie. Some people ask themselves questions, others do not. 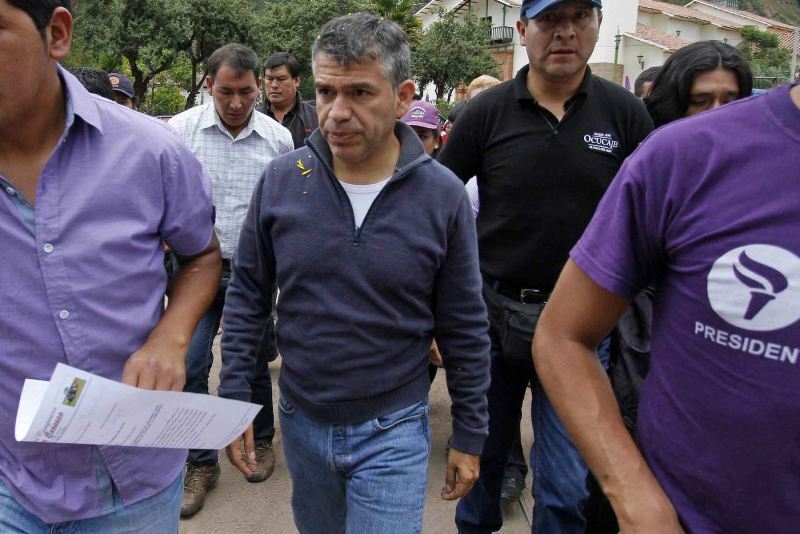 But on a macro-level, it shows that the civil society of Peru lacks consciousness. Our Andean ancestry, an essential part of our nation’s roots is constantly denied and mocked. Culturally, it still has value, but in everyday society, everybody wants to be as white as possible. Obviously, colonialism has blood on its hands for this behaviour. Nevertheless, a society denying something that’s so inherent to its identity is suffering from a mental illness”. Minister of Culture Salvador del Solar stated in Diario: “the movie depicts a denigrating view of the Andean woman, and needs to be rejected and repudiated”. Consequently, the Ministry campaigned and made a movie to raise awareness about the lack of chances and low education of the indigenous population and to encourage critical reflection about the level of fun of the movie. The media have criticized the minister. Renato Cisneros, an influential Peruvian writer, didn’t agree: “to think that the opinion of so many viewers doesn’t count, or worse, that they aren’t capable to know what they do or think: that is really discriminatory or racist”. The current government is not taking action. They invoke freedom of expression as a reason not to ban the movie. 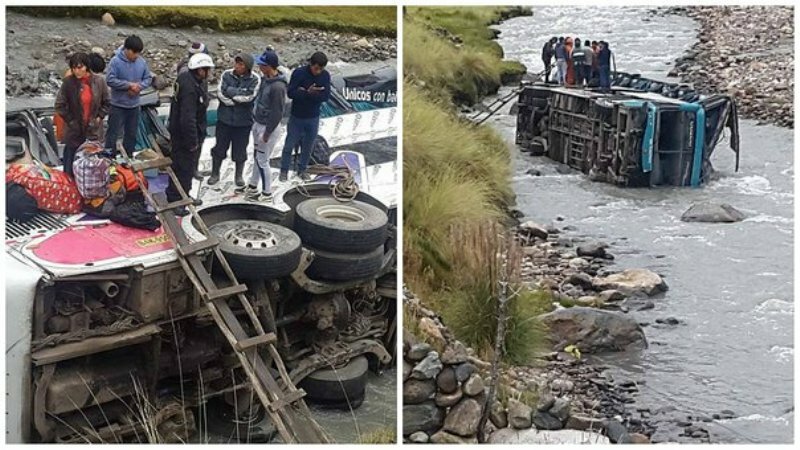 Gricelda Pumayali states: “in the current hectic times of Peruvian populism, it’s not the government’s priority to ban something that currently works as bread and circuses. Though recently, there is more legal framework to prevent discrimination, the Peruvian civil society is still at a slower pace”. The actors of the shows and movie are mainly of European ancestry. 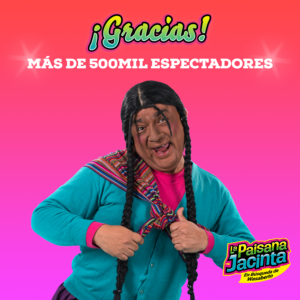 Jorge Benavides, the actor in the line of fire that embodies Jacinta, defends himself towards the criticism: “the best answer are the people who are with me to support Jacinta: they range from the most humble to the most educated person”. Adolfo Aguilar, director of the movie, doesn’t believe there’s a controversy. “Because it’s a caricature of reality, it doesn’t exist”. It’s not the first time Jacinta has caused controversy. Over time, numerous activists have tried to ban the show but have never succeeded. The Committee on the Elimination of Racial Discrimination (CERD) of the UN expressed its concern about the show 4 years ago. 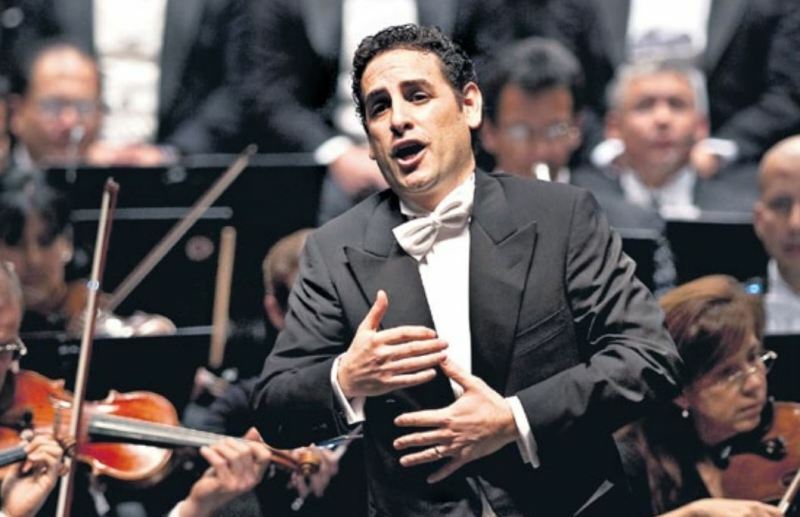 Carlos Manuel Vázquez, expert of the of CERD said: “In other countries, such an offensive show wouldn’t last. It wouldn’t need a censoring intervention of the government since it would receive a massive public boycott and the show would be taken off. What worries me is that, in Peru, this show is a mainstream success”. The Citizens’ Collective Against Racism agreed. They claim that the show has had a deeply negative influence in Peruvian society, leading to numerous cases of bullying or racism in schools and social life. Inducing people from Peru’s countryside to feel ashamed of their clothes and their traditions. “Jacinta can only be successful in a country that is so racist that the victims don’t even react to the humiliations or simply say that ‘it doesn’t affect’ them, to prevent them from feeling bad”, they said. “However”, she continued, “it’s a good thing that the discussion is ongoing now with a broad participation, thanks to social media. Though the storm will slacken once the ratings of the movie dissipate. When Jacinta 2 hits the movie theatres in a year or two, the same discussion will break out again”. 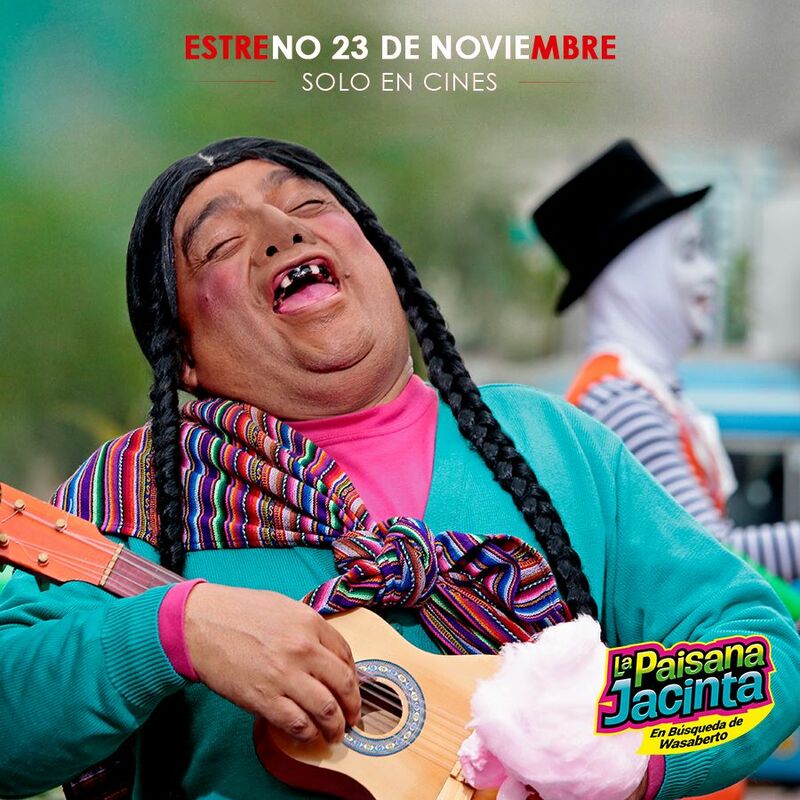 In the meantime, in spite of all controversy, the cinemas keep filling up on a daily basis with masses continuing to laugh at Paisana Jacinta.